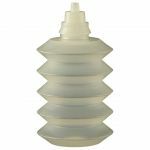 Jensen Global Accordion Bottles come in either 1.0 or 2.0 ounce sizes and provide the ability to squeeze every last drop of material out of them without effort. A dispensing tip can be attached to the tip for precision dispensing. 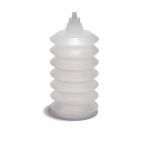 Purchase Jensen Global Accordion Bottles Today!